White Wolf : John Trudell Explains How Today's Customs Can Turn Us Into The Walking Dead. 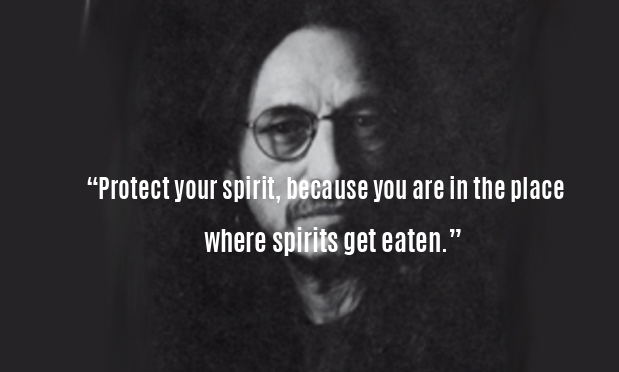 John Trudell Explains How Today's Customs Can Turn Us Into The Walking Dead. Native American, John Trudell, explains how people today are going along with society, cut off from a spiritual, tribal past in a unified realm of Being. Responses to "John Trudell Explains How Today's Customs Can Turn Us Into The Walking Dead." If you are out of touch with Earth, you are out of touch with reality. Love John. Please keep talking Mr. Trudell, we all are Spirit needing Spiritual food, there is none out here. Thank you for reminding some and awakening others! I can't agree more with you... and I find your words very true. We are losing ourselves every day more and more. We are forced to comply with modern life, globalization and customers mentality. We are everyday more and more "zombie like" and I believe that the ruling powers are willingly pushing us into the zombie state. A very few of us are able to recognize this process and to resist brain washing, to return to the real life and Mother nature, Today it is the rare gift to "feel" the nature, to be the one with the Earth, to have empathy to the living creatures, to feel how the earth breathe and the nature live it's life. I am not religious, and not talking in that way, I am talking about awareness of being a human, being animal, being living creature, feeling the world around us, identifying yourself with it and resisting to be brain washed into the living dead. WELL I've seen life from both sides now and I have seen the eating from this group and that group. So beware of finger pointing. Thank you, I’ve known this but, had no way to explain it. Please continue to share your knowledge. As an Indigenous person taken away from my Native family, my culture, as a young child. Luckily, for myself, I was born with this connection. My ancestors never left me, though I faced many horrific things and was beaten down daily by society and its' rules, I was intuitively aware that my spirit should always be protected. As a result, I saw just enough, experienced just enough to learn what I needed to so that I could one day use what I know to help others. This was my gift from the ancestors. All you need do is listen. Have compassion and help folks when you can - offer what can be offered.... share what can be shared... encouraging words to find their way..... even a small cup of coffee..... simple things can bring good results,... especially with children... be kind if you can..... and strong as needed. Take care of your Selves.